Erdogan must address the EU's concerns regarding the principle of the rule of law. European Commissioner Guenther Oettinger has said he did not see the European Union granting Turks visa-free travel this year - as agreed in a migration deal - due to Ankara's crackdown after a failed military coup. "The draft law (on ending visa requirements for Turks) is being debated in the European Parliament right now," Oettinger, commissioner for digital economy and society, told several regional German newspapers in an interview published on 19 July. 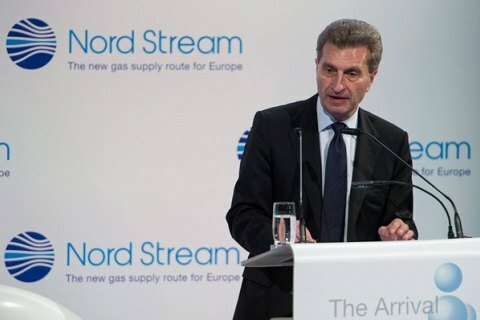 "But I predict that we won't have regulation on visa-free travel before the end of the year," Oettinger said as quoted by Reuters. Turkish President Tayyip Erdogan must address the EU's concerns regarding the principle of the rule of law, he said, adding: "And that's not what it's looking like at the moment." Oettinger criticized Ankara's recent decision to lift lawmakers' immunity from prosecution, a constitutional change likely to remove a pro-Kurdish opposition party from parliament. He also slammed the Turkish government for shutting down opposition newspapers and intimidating journalists critical of government policies. "And it cannot be that judges the government does not like are being removed by the thousands. The independence of the judiciary is a tremendous asset," said Ottinger, an ally of German Chancellor Angela Merkel, the key driving force behind the migration deal with Turkey.